Staff at a north-east primary school and nursery have been praised after receiving good and very good ratings in a recent inspection. A north-east head teacher who put her job on hold to go back into the classroom due to staffing shortages has said she would do the same again - despite a poor inspection report. The grieving mother of tragic teenager Jade McGrath has “forgiven" the school bullies who targeted the youngster - insisting they “were too young to understand”. Inverness College UHI has been rated number one college in the North of Scotland in providing a high quality learning experience for students. Parents and members of the public have expressed their rage on social media after a consultation event for a new Peterhead community campus revealed the "disgusting" state of the current school. Residents in the north-east’s biggest town will be given their say on proposals for a multimillion pound school project. A day out shooting pigeons with his sons landed a member of a prominent Highland landowning family in court. Pupils and staff at a primary school in West Dunbartonshire are to be given a vaccine against Hepatitis A after one child contracted it. 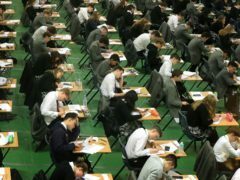 Pupils at a north-east secondary school got an unexpected day off yesterday after the heating system broke down. Parents at an Aberdeen school have slammed inconsiderate drivers and called for further enforcement action over the number of cars parking inappropriately during collection and pick-up time. The city council has become the first in Scotland to move applications for places for children to attend schools to an online system. A national mental health charity met parents and teachers at a special event this week to discuss how emotional well-being is handled in schools across the country. A school owned by the community and leased to the council opened its doors to pupils for the first time31 yesterday. An Aberdeen school has been “extensively damaged” by vandals, just a day after its fire extinguishers were stripped out and discarded in a nearby play park. Education chiefs in Inverness are investigating after a pupil believed to be just six had a knife in school. A competition has been launched for school children to create a unique Harris Tweed design for the island’s only distillery. With such a loving society, why do so many of our girls have mental health problems? The unhappiness of young girls is a tragedy and a crisis. We have created a social structure which is unduly tough on adolescents, for no obvious purpose. The young were once under pressure to find work, marry or help the family – as these old economic forces die away, so Scotland should reinvent childhood. A man has been reported to the procurator fiscal following a police investigation into the cause of a collision between a lorry and a school bus last Thursday. Parents are still being invited apply for places at the troubled Longhaven Primary despite confirmation it has been mothballed and a major question mark hangs over its future. What a difference seven years makes. An Aberdeen school that offers uniquely tailored support for children with additional supports needs is seeking an architect to lead a £10 million improvement plan. Youngsters whose parents are diagnosed with cancer may benefit from extra support from schools, it has been suggested after a new study linked parental cancer to poorer grades. Aberdeen’s newest school is receiving the finishing touches to make sure it gets top marks from pupils, staff and parents when it opens next week. Struggling Moray families have been encouraged to apply for the newly enhanced school clothing grant given out by Moray Council. Remember the last time you were preparing for the first day in a new job? 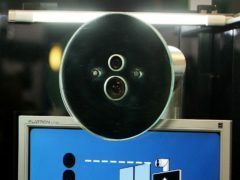 A US school district is giving its surveillance system an upgrade with the introduction of facial recognition.